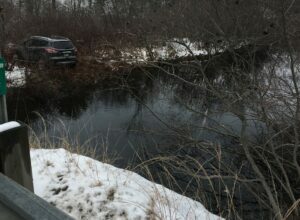 Police say this SUV went off West Road in Waterboro, hit boulders lining a river and flew about 25 to 30 feet, landing on the other side. 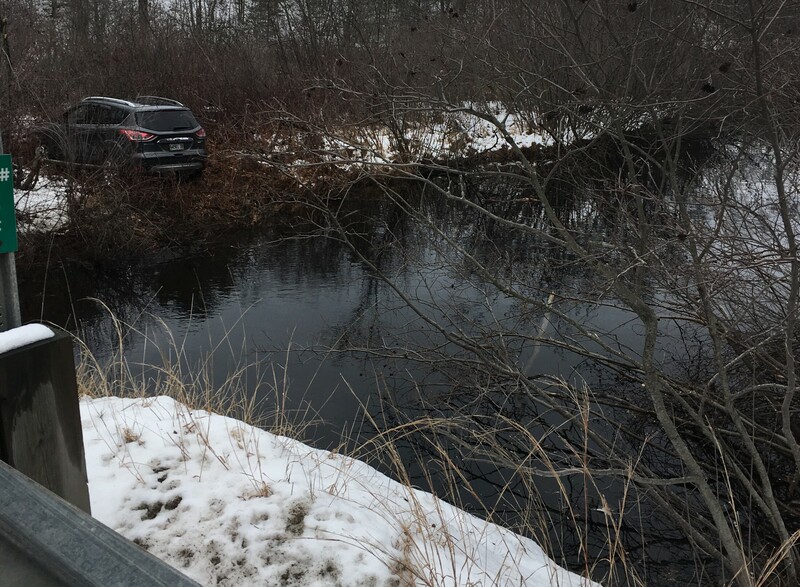 This vehicle ended up on the other side of a river after veering off West Road in Waterboro on Wednesday. 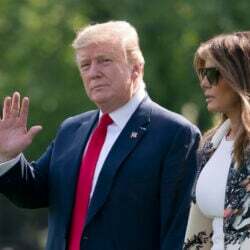 The sheriff’s department estimates the car traveled 25 to 30 feet while airborne.